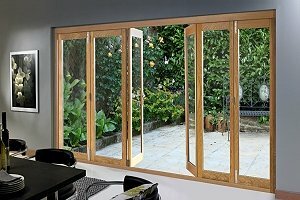 Which Patio Door Design Should I Buy? Which Patio Door Design Should I Buy? What type of patio door design is the best to buy, Sliding or Bifold? Installing a new patio door leading to your garden area is ideal to bring in more natural light. You also get real ease of access to your garden and very often it will make your room feel even more spacious. Sliding patio doors have been a long-time favourite for the job, but can fitting a bifold patio door be a better idea? 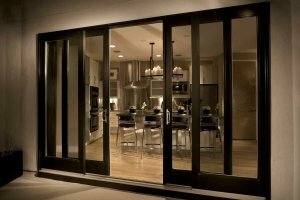 Here is a quick run through of the main features, advantages and disadvantages of each patio door design. Hopefully this can give you some insight into what type of patio door design is the best to buy for your home. As the name clearly implies, these doors slide in order to open and close. The panels are set within a track and only move left to right on that track. The doors themselves bypass each other (like 2 trains running in opposite directions) on that track. The doors always remain within the boundaries of the outer frame and the wider the opening you have, the more panels you can fit. Bifolding patio doors also move within a set of tracks but they don’t bypass each other as the inline design does. They move to the sides, out of the way. In this case, each panel will “fold” to the left or right, in a kind of zig-zag fashion (like a concertina). The biggest difference between the 2 designs, as you can see from the images, is the way they open and close. In this respect, a Bifold patio door has a few advantages over the sliding design. Because sliding doors are fixed within the frame, they can only ever by pass each other in order to open. This means that the door panels themselves can get in the way. On the other hand, bifolding panels can be moved all the way to the side and stack tidily out of the way. Simply put, you get a bigger clear opening with Bifolds. Think of it like this, if you have a 2 panel sliding set of doors, then you can’t have more than 50% clear. For a 3 panel set, then this would leave you with about only 2/3rd of the opening clear if all 3 panels were slid to one side. For large multi-panel installations, you can have a panel set to open like a regular swing doors. This saves having to move all the doors just get in and out. Panel 1 & Panel 3 can work like a regular door (viewed from L to R). Bifold doors just fold & stack to the side out of the way and for a small 2 panel patio door, this is a big advantage. However, to be fair, the folded doors themselves will take up space at the side of the frame, but it is minimal. Many Bifold door designs can feature floor level thresholds. This great feature means that there is no raised track to interfere with going in and out. For ease of access (wheelchairs, inform or elderly persons, children) there is no raised threshold to trip over or otherwise get in the way. Care does need to be taken when selecting floor level designs as you ned to ensure the design is 100% weatherproof – you don’t want wind or water coming under your door into the house. You also need to keep them very clean to prevent blocking of drainage. How much does each patio door design cost? This is probably the area which can have a big impact on decision, especially if cost is a high priority. In general, you can expect to pay more for a bifold than a sliding patio door, given the same size, material used and energy efficiency. A good set of sliding patio doors can make your home look great, and they also represent good value for money. But if you want something a bit special and are OK with the higher initial cost, then a set of Bifold doors is the best choice (in our humble opinion). 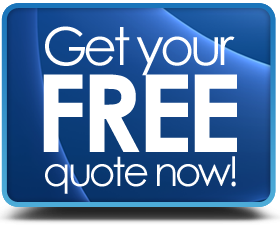 To find out the cost of patio doors for your home, you can request free quotes here.